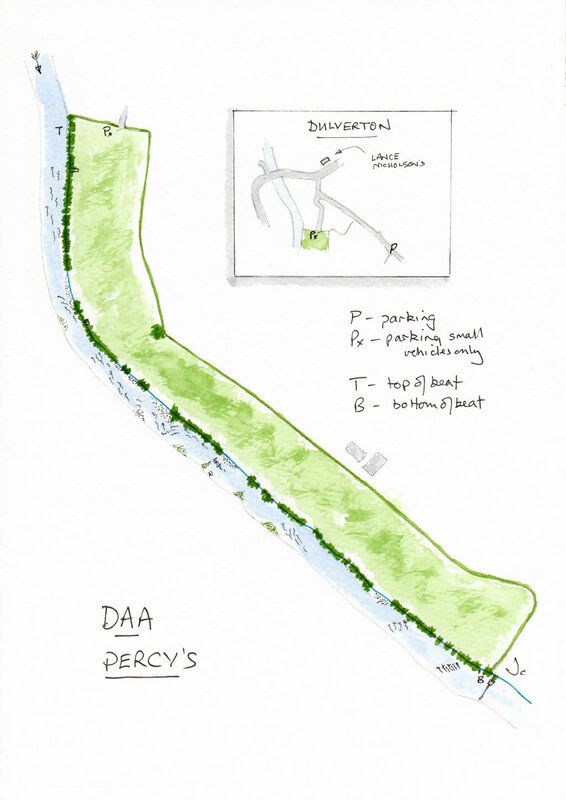 Percy's is a beat on the River Barle, and the first as such in sole ownership of the DAA, you can find Percy's via the narrow lanes down Chapel Street past the laundry, you can park in the field at the top of the beat but we must warn you that the road to the beat is exceptionally narrow and difficult to drive down, by far the best place to park is in the main car park by the town bridge from here it's an easy five minute stroll. A point to remember about this beat is that all the salmon moving up the Barle to spawn pass through this water! Percy's is a very attractive water a with a number of large pools and broken passages. 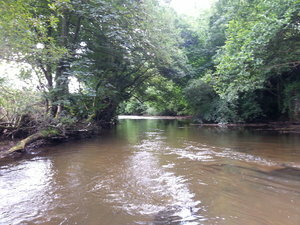 Both a downstream nymph or upstream dry can be very effective and often results in a good number of offers and fish caught. Many of these tend to be in the 4 to 6 inch category, but there are also some bigger brown trout. This beat is crossed by power lines at several places, so it is important to remain alert to this and to keep back casts low – this is particularly important if you are wading up or downstream as all the warning notices are on the bank and not visible from the water. A lot of work has been carried out by DAA members to improve this fishery and if your new to the association it's well worth giving this beat a go first, another advantage is the "shop" (Lance Nicholson) is very close by for up to date local advice and suitable fly choice.